Call them the three Cs — convenience, cleanliness and confidence. They’re traits critical to the success of a new marine product in the 21st century, and BRP hit each of them with its next generation of Evinrude E-TEC G2 models, which were introduced to dealers, boat builders and members of the media in July. The new E-TEC G2 150, 150 High Output (H.O. ), 175 and 200 join the award-winning 200 H.O. to 300 horsepower engines launched in 2014 and expand the benefits of the two-stroke series to boaters in the mid-range. 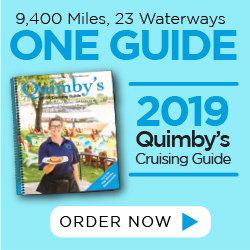 According to the company, the new models deliver up to 30 percent more torque, up to 15 percent better fuel efficiency and up to 75 percent fewer total regulated emissions compared to the leading four-stroke outboards. Available with integrated Dynamic Power Steering and iTrim, the brand’s intelligent trim system, the new G2 models are designed to deliver confident handling and optimal performance at any speed and in any water condition. By incorporating steering mechanisms into the mid-section of the engines, Evinrude engineers also simplified rigging for a cleaner transom. The E-TEC G2 product line is made to be one of the easiest engines to own, requiring no break-in period and featuring convenient push-button automatic winterization. The engines are covered by a five-year warranty, which includes corrosion, with no dealer-scheduled maintenance for five years or 500 hours. 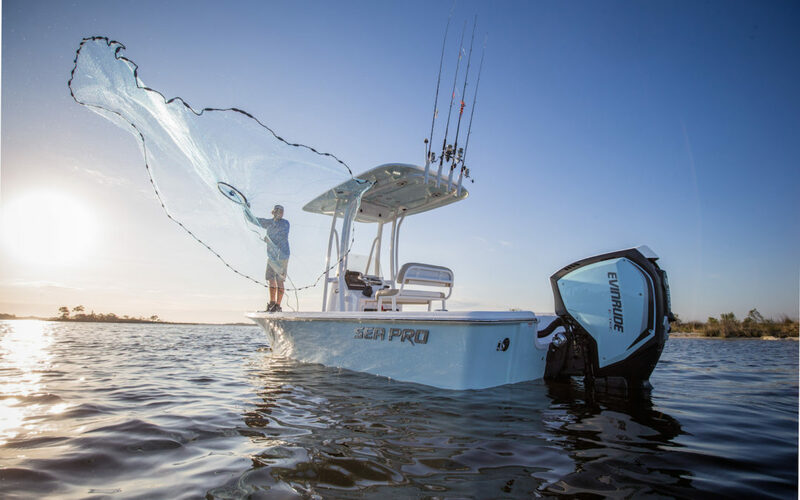 In addition, the new models are highly customizable, available in hundreds of color combinations to match your boat, including new Mossy Oak and Ice Blue (pictured). I guess that’s a fourth C.
Get more information at www.evinrude.com. In addition to the new G2 engine lineup, BRP has debuted Evinrude E-Link, a virtual dashboard that enables the display and control of important engine features from a mobile device. E-Link mirrors the data shown on Evinrude’s ICON Touch displays, giving users fingertip access to vital information, including: engine data (RPM, fuel and oil levels, trim position, battery voltage), two trip logs, an Eco page to help boaters achieve the best operating efficiency, and a Concierge page that allows engine data to be emailed directly to a dealer or service team.